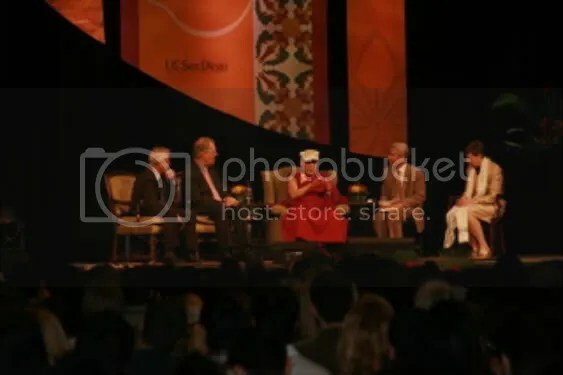 His Holiness the 14th Dalai Lama of Tibet opened his “Compassion without Borders” tour with a visit to UCSD on Wednesday, April 18, 2012 by encouraging “a sense of global responsibility” in addressing the challenges of climate change. He was joined by two panelists from the Scripps Institute of Oceanography, Dr. Richard Somerville and Dr. Veerabhadran Ramanathan, who provided scientific context based on their experience and research in the field of climate science. The panel’s discussion centered on the need for international collaboration, environmental awareness through education and the need to unite politicians, economists and the public behind scientific inquiry. Humanity as a whole shares a common home, and with it a common burden to protect the environment and preserve it for posterity. For much of history, the climate has changed due to natural causes, however in recent times human activities have grown to play an inordinately large role in causing climate change. As Dr. Somerville explained, “our generation today now controls what the climate will be for our children and grandchildren. We did not seek this power, but we have it because we have long used the atmosphere as a free dump for the side effects and waste products of human activities.” While all nations contribute to climate change, there is a lack of effective international cooperation to mitigate its effects. “This is a[n] issue of humanity, not of this nation or that nation. Each of our futures depends on the rest of humanity,” the Dalai Lama said. He continued to emphasize that friendship and cooperation can only be achieved through trust and mutual respect — essentially that “we need cooperation based on the clear realization of the oneness of humanity” in order to respond to the challenges of climate change. 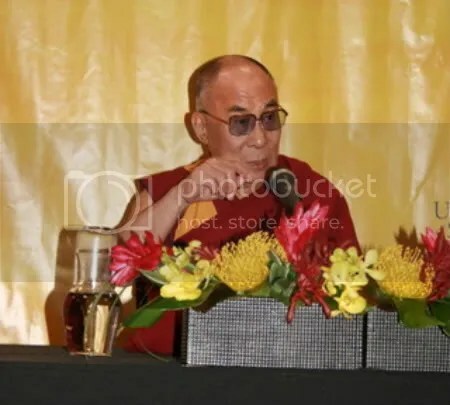 Through his advocacy for mutual respect and cooperation, the Dalai Lama hopes that humanity can better address common goals in the future by transcending nationalities. One of the ways the Dalai Lama hopes to achieve this goal is by instilling compassion and values into the modern education system. He recommends that educational institutions “should take care of brain development as well as the development of warm heartedness,” teaching both material values and internal values. The idea is that the motivation for social responsibility would not be tied to one’s religious beliefs, but rather that people would learn compassion, values and social responsibility in a neutral and secular setting. This secular education would encourage future generations to hold a more holistic and compassionate view of the world. Thus, science must be the basis for mitigating the problems associated with climate change, as it is the foundation of public awareness and effective policy-making. The Dalai Lama professed his genuine respect and admiration for science by praising the scientific inquiry that brings us new knowledge. “Scientists are very skeptical. Skepticism [is] very necessary, skeptical attitude brings questions, questions bring research, research can analyze our problems and analysis brings answers,” he said. Once we are equipped with the knowledge that science provides about our reality, we must take it to heart. “We can’t say it is our sort of way of life. We have to think about reality — what benefit[s]? What harmfulness?” the Dalai Lama said. Essentially, we must think critically about our actions and align them with the reality of their effect on the environment. “This is a question of our life, our survival. Not only [of the] individual, [but of the] entire planet. If something really goes wrong, then the entire humanity and millions of species are lost. This blue, small planet is [our] only home. 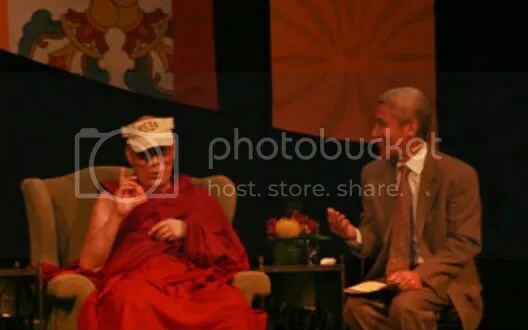 We have to take care of it,” the Dalai Lama said.